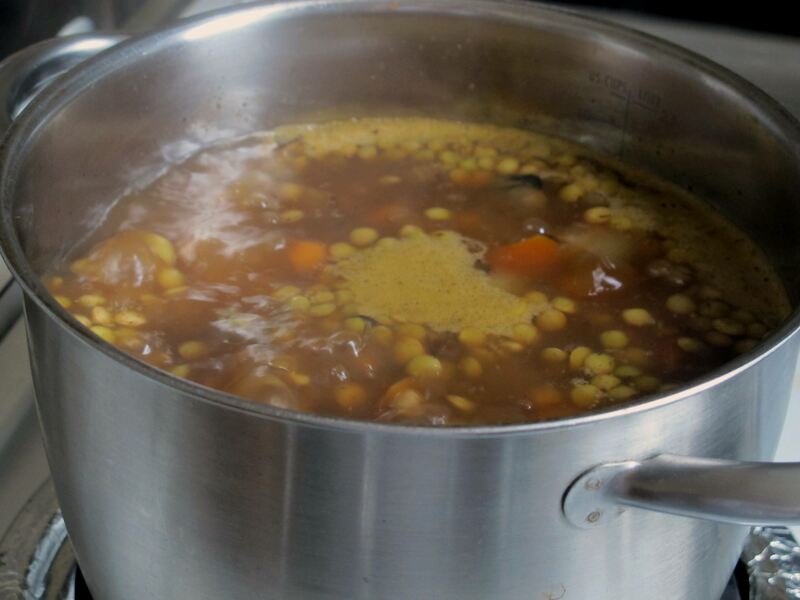 My weekly ritual is to cook up a big pot of soup. Soup, wine, coffee, and almonds are the four staple products in my kitchen. Need a pick me up? Coffee. Need to relax? Wine. Need a hold me over? Almonds. Need a quick, filling meal? Soup! Not to mention it’s super healthy: low calorie, low fat, high fiber, high protein, high iron, high potassium, folate, magnesium… Meaning that it will fill you up, clean your blood, help your heart, and build your energy. All good things, and so easy to make too! 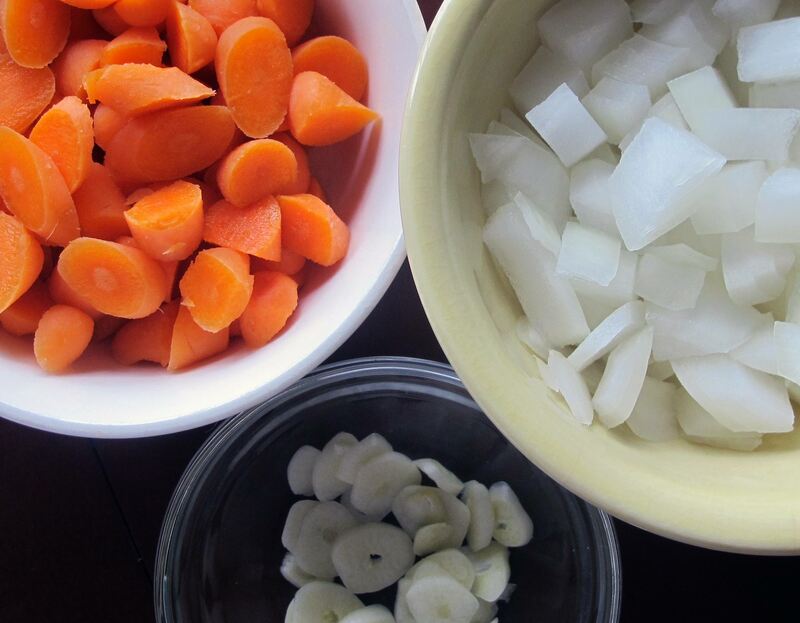 Chop the veggies and add them to a large pot with olive oil. Allow to simmer, stirring occasionally. I like them to get a little char-grilled for that rustic flavor. 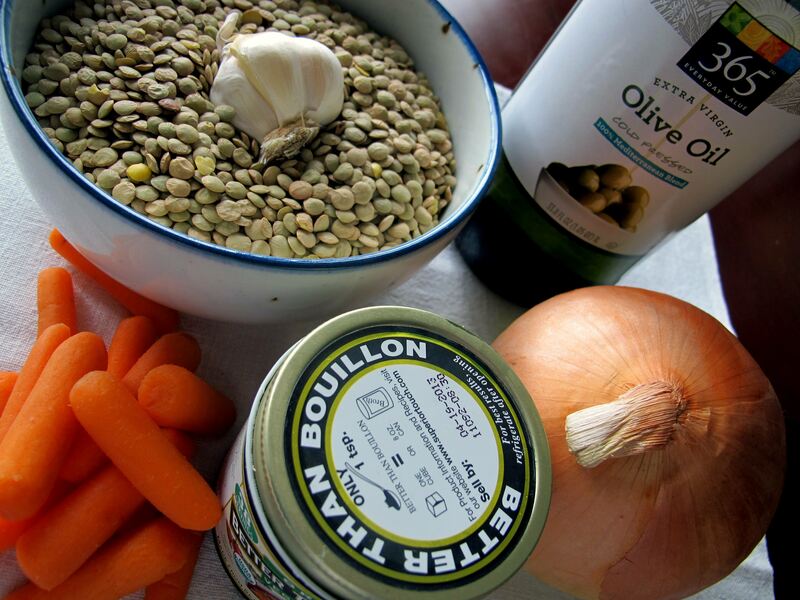 Add lentils, water, and bouillon. Stir well. Bring to a boil. 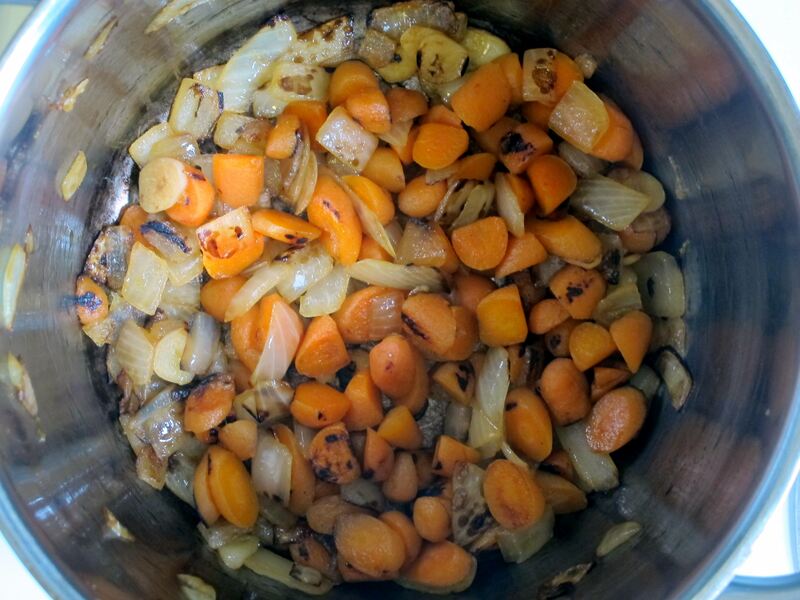 Reduce heat to a simmer and cover for 45 minutes. That’s all! Can easily be stored for a week in the refrigerator. It’s even better the next day (and the next…)! 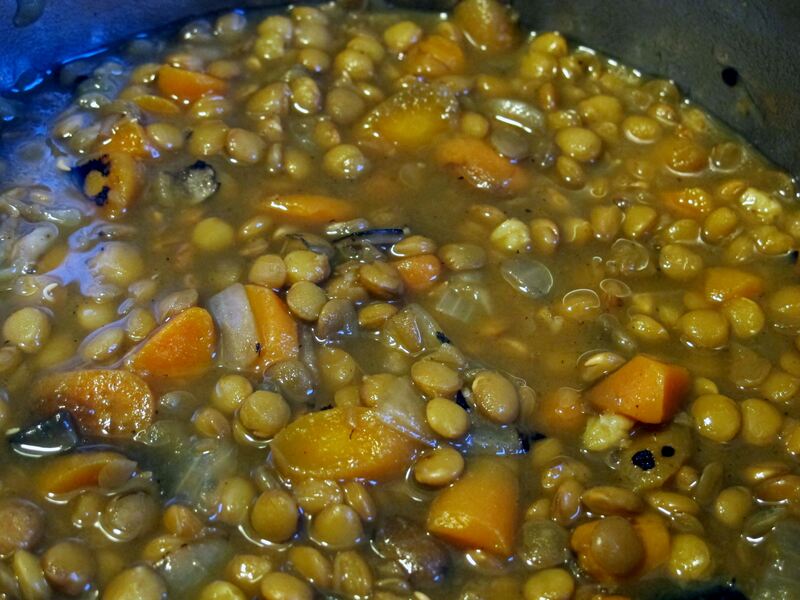 This entry was posted in Delicious Recipes and tagged Legumes, Soup, Vegan. Bookmark the permalink. 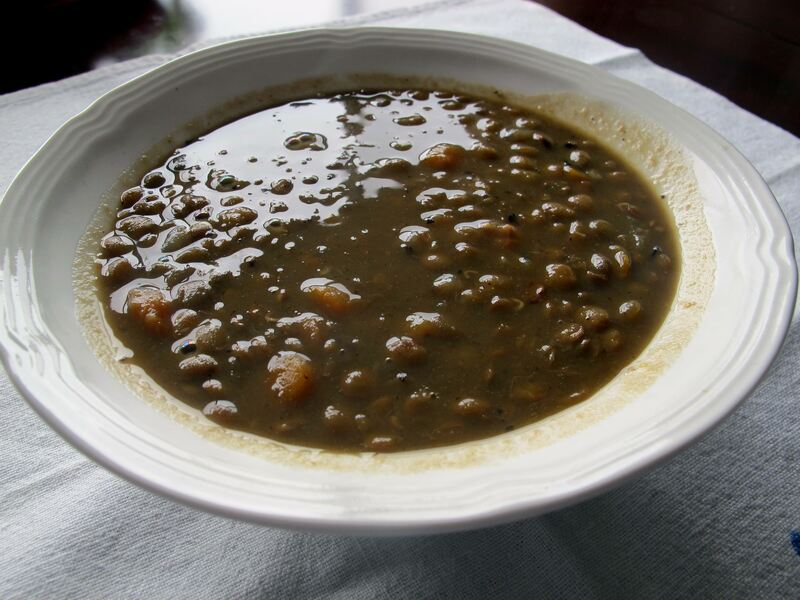 I love lentil soup and this looks like a great recipe. And you´re right – it improves after a day or so! Always good to have a pot on the go.